Welcome to the first installment of guest blogger Brad Fidler’s new four-part series. Brad is a postdoc researcher at UCLA, where he is developing a new program on Internet history. He studies the crossovers between information technologies and psychiatry. Over the coming weeks, Brad will discuss the increasing use of psychiatric drugs in the treatment of, and the expanding definitions of, mental illness. When mood stabilizers and stimulants fail to interest the American public– often because their use has been stigmatized– drug companies often look to rebrand them as diet pills. That’s what the pharmaceutical firm Vivus, Inc. plans to do with their new drug Qnexa. Vivus is planning to mix a mood stabilizer from the 1970s with a stimulant from the 1950s and sell the new cross-breed medication as a weight loss drug. 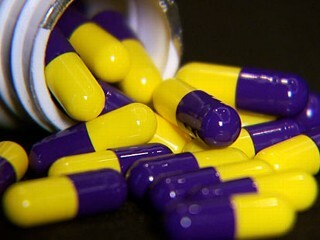 The two drugs that make up Qnexa have been criticized as a part of the bad form of medicating society, emblematizing the habit of profit-hungry pharmaceutical firms to “disease monger” and “sell sickness.” This backlash critique of psychiatry and psychiatric drugs has risen dramatically in the last few decades as pharmaceutical solutions to behavioral and mood problems have become more popular and more visible. It has remained relatively easy to critique the over-prescription of psychiatric drugs because the relatively private nature of the doctor-patient relationship has not been subject to scrutiny like public drug policy activities like community policing and foreign policy associated with the War On Drugs. 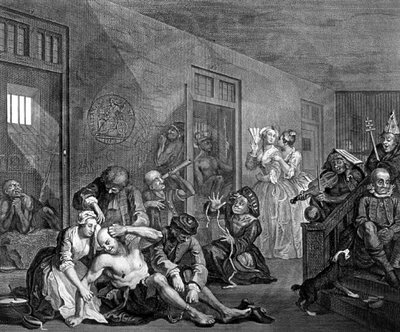 But the critique of pharmeceutical “disease mongering” is not just opportunistic; there are important historical reasons that we are suspicious of psychiatric treatments. For one thing, they have often been used coercively on people who did not think they were sick. Such was the case, for example, of English Restoration playwright Nathaniel Lee, confined to the Bethlehem asylum in 1684 (“They called me mad, and I called them mad, and damn them, they outvoted me”), or Los Angeles punk front man Mike Muir (“I’m not crazy / you’re the one that’s crazy”). There are reasons to be suspicious of potent chemical treatments being meted out for subjective and poorly defined conditions. The past nature of drug dispensation is also cause for some concern. When Thorazine (chlorpromazine) was first introduced to US asylums in the 1950s, it was a chemical supplement restricted to treating often-lobotomized patients in locked wards and straightjackets. By the end of the decade, Thorazine was used to address “inner states,” treating patients who brought themselves to asylums in search of help. This sort of rapid escalation in drug use is telling as, a half-century later, there exists a massive pharmacopeia serving an army of voluntarily dosing consumers. The fear and anxiety over social control – as previously symbolized by straightjackets and locked wards – has never really gone away, however. People have correctly noted that, when the asylums started shutting down in the 1960s, the same apparatus designed to serve involuntary psychiatric confinement was recycled for formally free psychiatry outpatients. Mood stabilizers are also unpopular with critics of psychiatry and psychiatrist’s presumed liberal use of medication. These same critics also view stimulants with skepticism, with Adderall and Ritalin among those drugs receiving the heaviest criticism, mostly over the controversy surrounding the diagnosis of Attention Deficit (Hyperactivity) Disorder, or, ADD/ADHD. 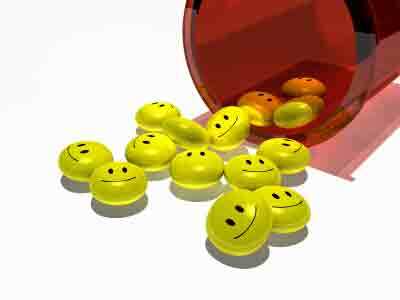 The 2006 PLoS Medicine “Disease Mongering Collection” addressed why and how the epidemic of unnecessary psychiatric medication has been unleashed upon the public. The issue’s opening essay argues that we must generate knowledge for action in the fight against disease mongering. For all of these reasons, we should expect a campaign to sell mood pills and uppers to get a lot of bad press. Given this double-dip approach to weight loss, Vivus could have claimed to have developed a “wonder drug.” Instead, with an eye to defuse the “disease mongering” critique, they have taken a different tack. Vivus hopes to make Qnexa consumers not feel tricked into believing they can “drug away” the problems of everyday life, which was how Topomax users had felt. Rather, Vivus hopes to assuage the fears of skeptical consumers by claiming that Topamax dieters aren’t really altering their moods. The problem with this claim, however, is that Qnexa consumers likely will be altering their moods. The 92MG of Topamax in every full Qnexa dose is certainly enough to effect an adult, and that medication will be combined – and perhaps amplified – with stimulants. Those skeptical of psychiatric medications, Vivus hopes, will discuss Qnexa consumers in different terms than they discuss Topamax-as-mood-stabilizer consumers, even though the two groups are taking nearly identical drugs. Vivus sees this difference as coming from the fact that disease mongering is often portrayed as a moral wrong that goes far beyond mere concerns with physical harm. Issues relating to disease mongering, for this reason, cannot be understood if divorced from the identities of the people using the drugs and from the diseases being mongered. If drug industry critics give this batch of Topamax users a pass, it will be because they agree with how Qnexa consumers use the drug and whether they believe the consumers are properly regulating their own bodies. The motivations behind voluntary, prescribed and non-addictive prescription medication use are very important to those skeptical of mood stabilizers, especially when drug use involves treating mental illness and psychiatric medication. Those uncomfortable with voluntary or enthusiastic psychiatric drug use are concerned by the fact that we no longer have locked wards that could explain consumers’ choice to medicate. It seems that the means of coercing drug use have not disappeared, but they are now invisible, seen only in sociological concepts like “the hegemony of western biomedicine.” Nonetheless, we are sure the coercion is there. After all, when a drug company is aiming at nothing less than a numbing of the collective American mind, our explanations for the continued ubiquity of drug use are bound to be dramatic.